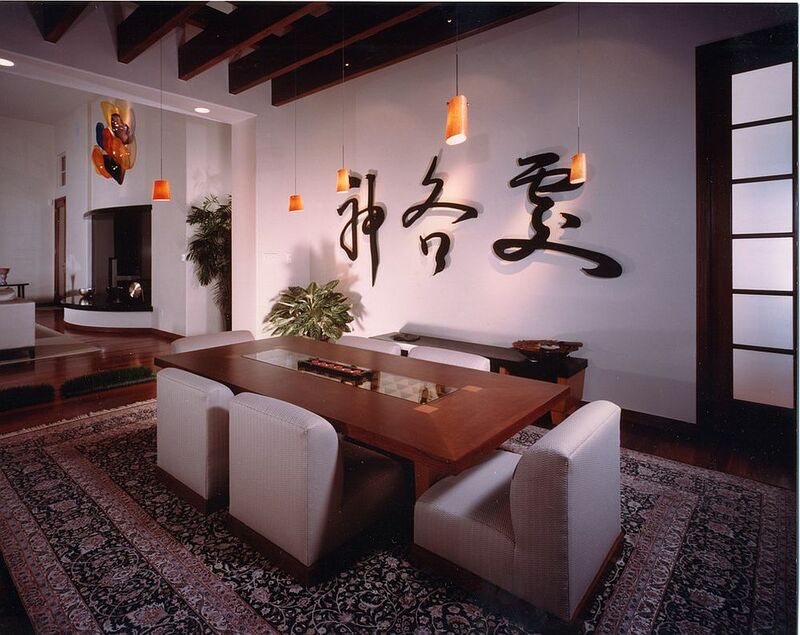 The idea of Western design borrowing from oriental elements is nothing new. 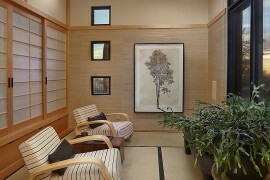 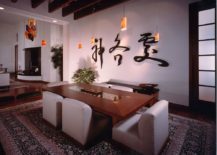 The inherent minimalism of Japanese design and timeless beauty of Chinese style and its unique flavor provide plenty of options for those looking eastward for some design inspiration. 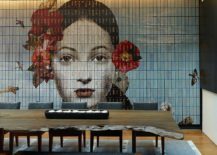 While the name ‘Asian style’ is far too broad, it often points to a style derived from the Far East, with ideas from Japan and China dominating the conversation. 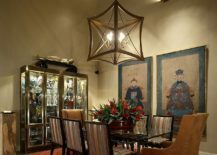 Sure, you can also go a bit Indian or even Javanese when planning your Asian-inspired dining room, but for today’s story we stick to these two cultures and the many delights that they have to offer! Japanese design-inspired gardens and bathrooms are already pretty popular globally, and Zen-style Asian designs offer a welcome change from the routine in mundane urban settings. 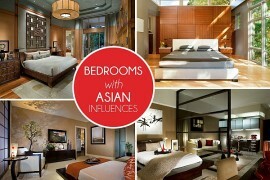 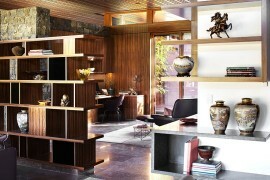 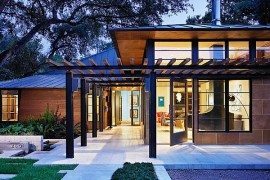 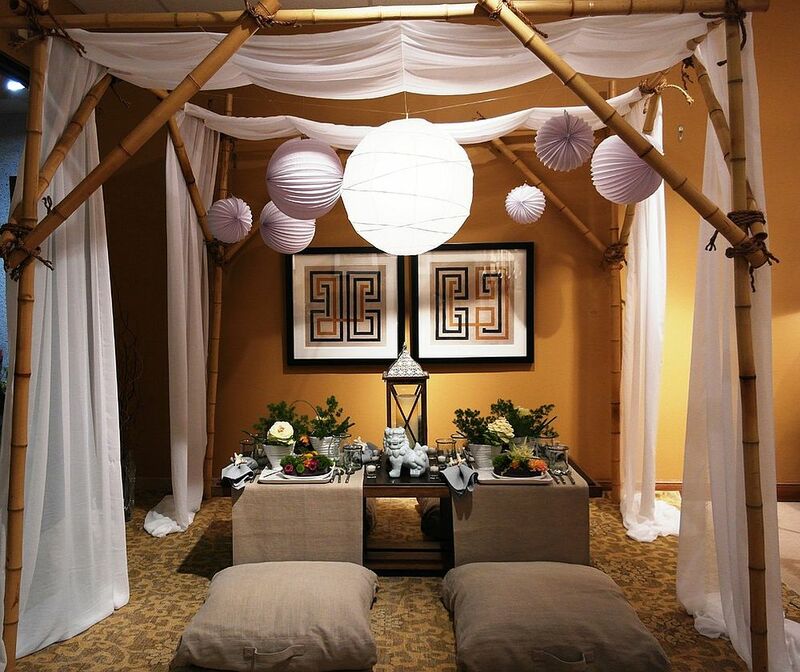 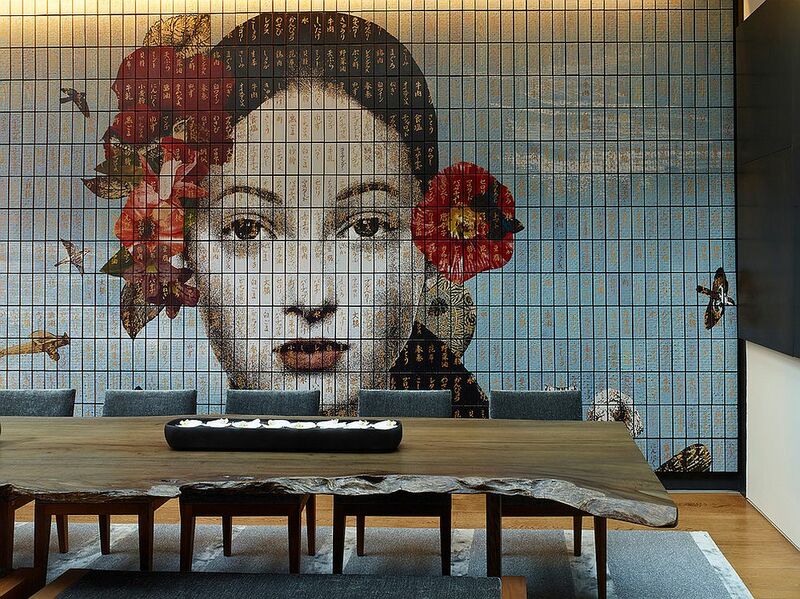 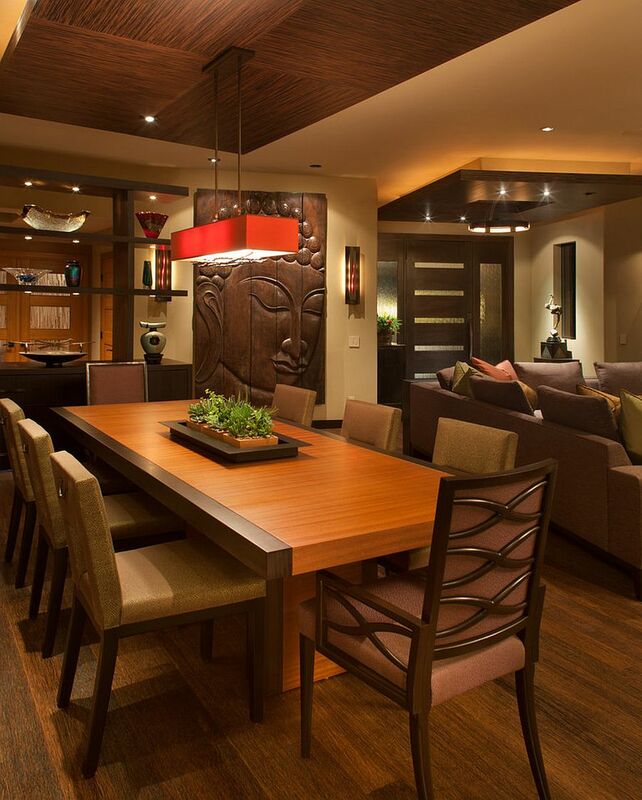 You can even go a step further and turn to Feng Shui to create a harmonious home. 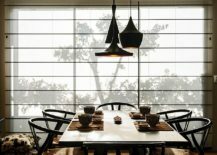 With the many options available, we take a look today at the 40 best dining rooms with Asian style that vary from the minimal to the extravagant. 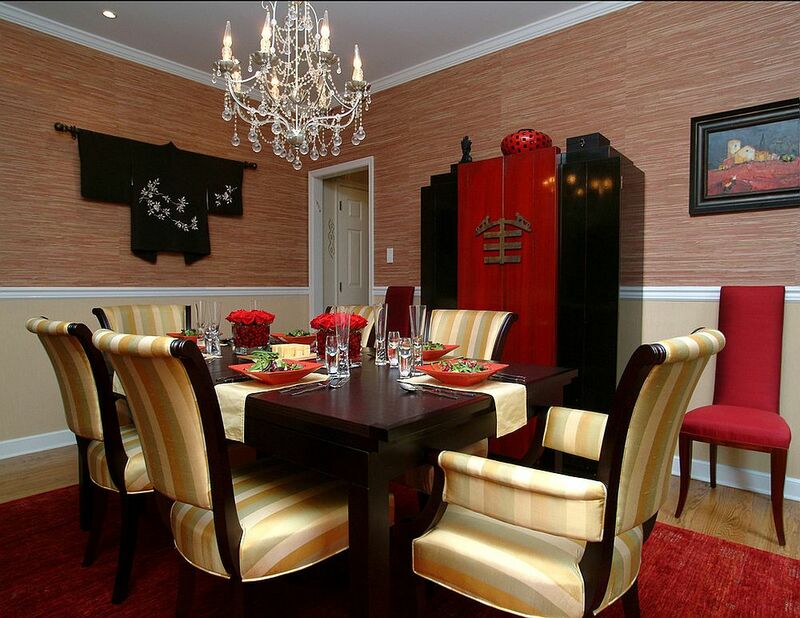 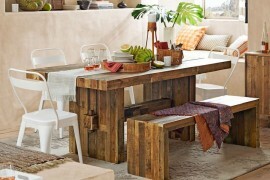 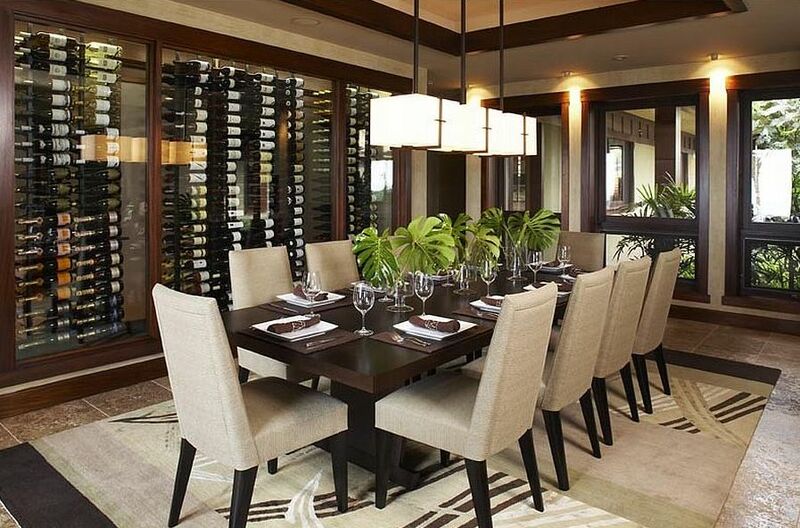 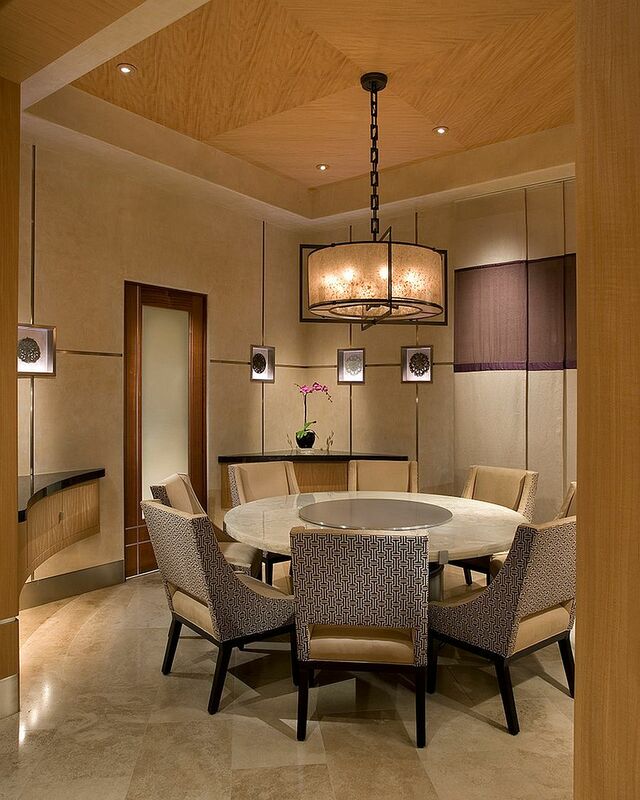 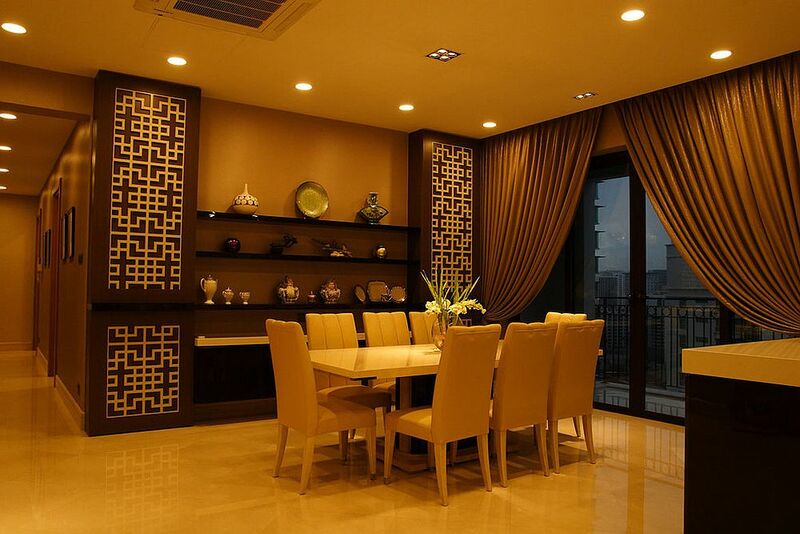 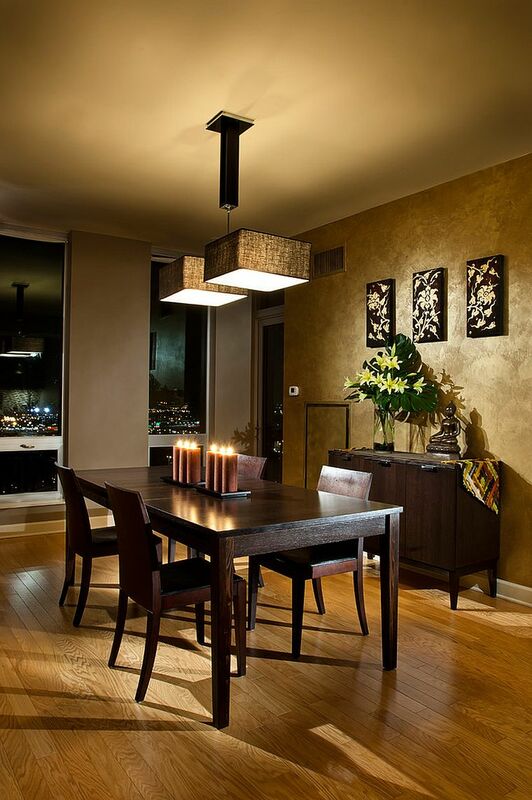 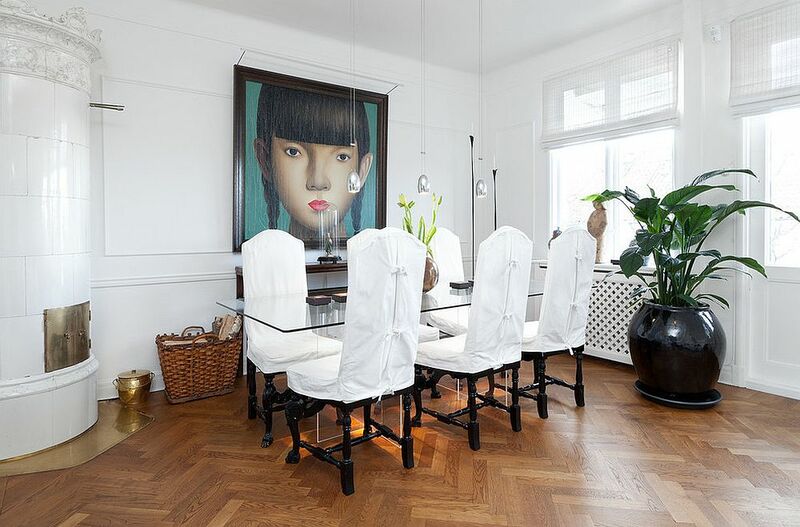 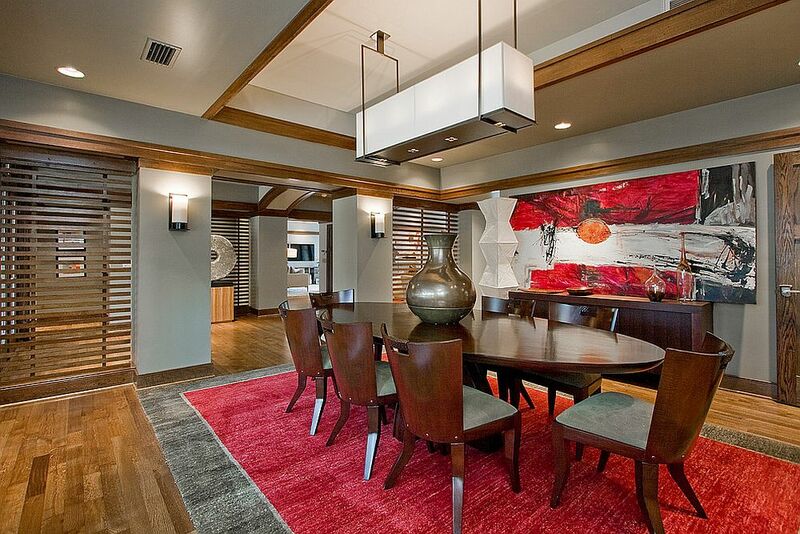 We start off with Asian-style dining rooms that are bit different from the usual perception of these spaces. 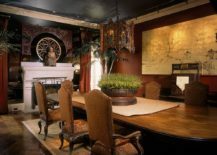 Most homeowners associate a relaxing, serene Japanese style with all ‘Asian spaces’, and while we will get to those in a bit, exquisite and opulent Asian-inspired dining rooms are equally amazing. 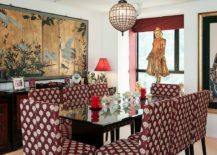 These colorful and smart spaces borrow extensively from Chinese traditions and design elements, and there is no shortage of hues like glittering gold, vivacious red and bold black here. 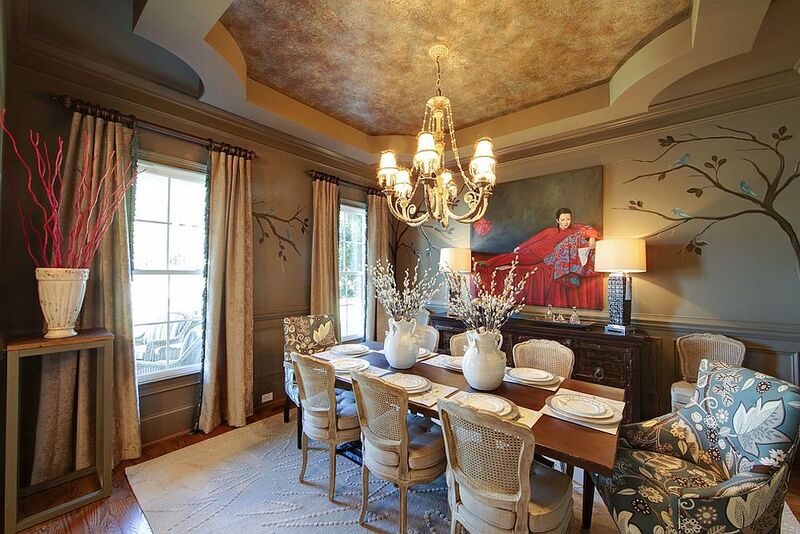 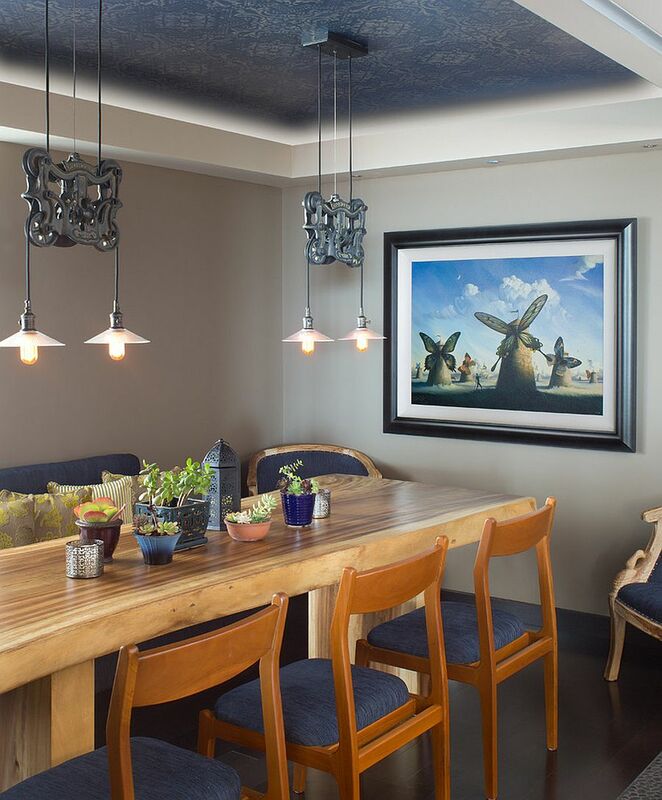 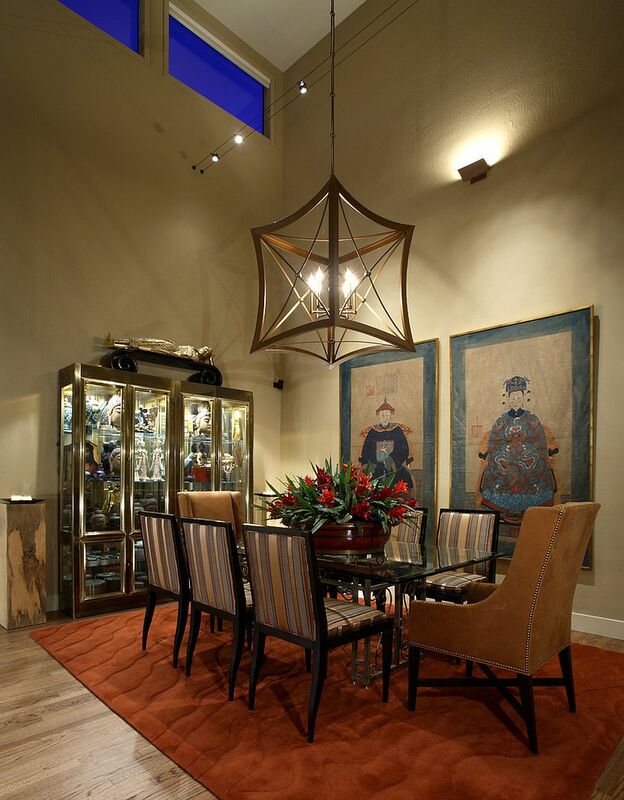 Fabulous lighting and ornate ceilings add to this look, while original wall art with Chinese flavor can take it to a completely different level! 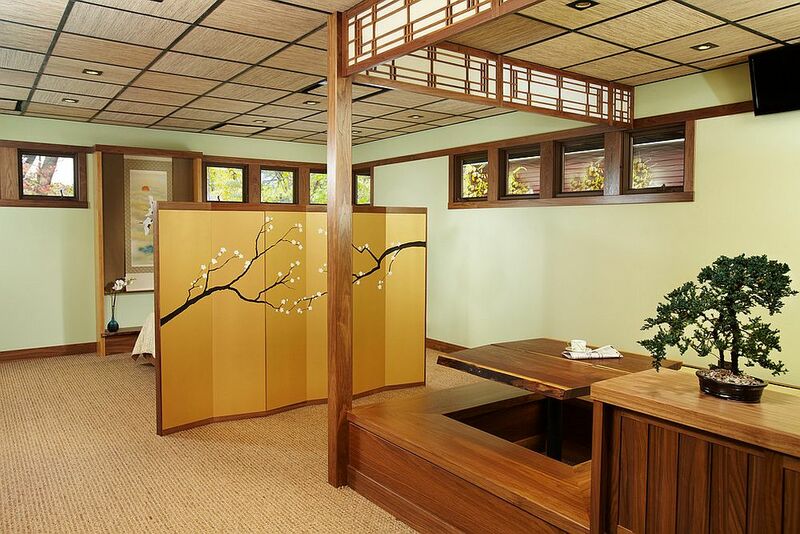 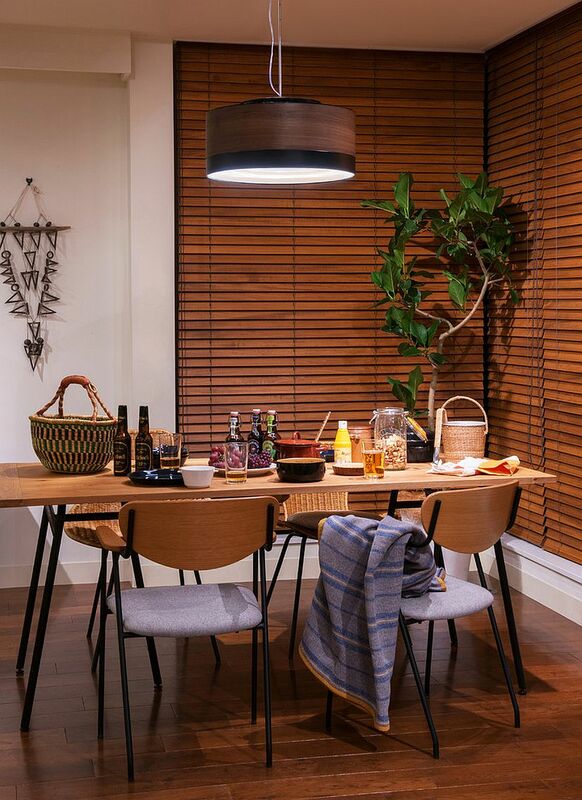 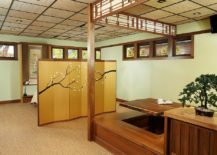 If you are looking to turn your existing dining room into a relaxing hub that lets you escape the hustle and bustle of daily life and constant electronic noise, then a Japanese-inspired dining room is surely the best option. 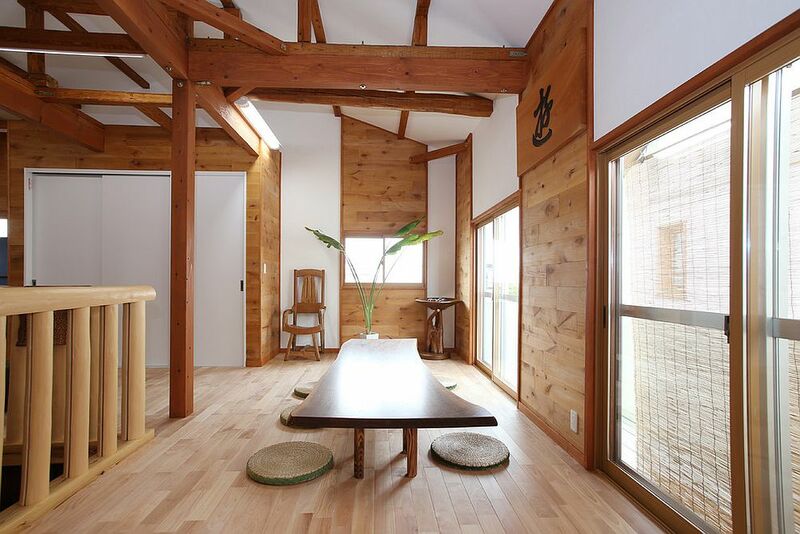 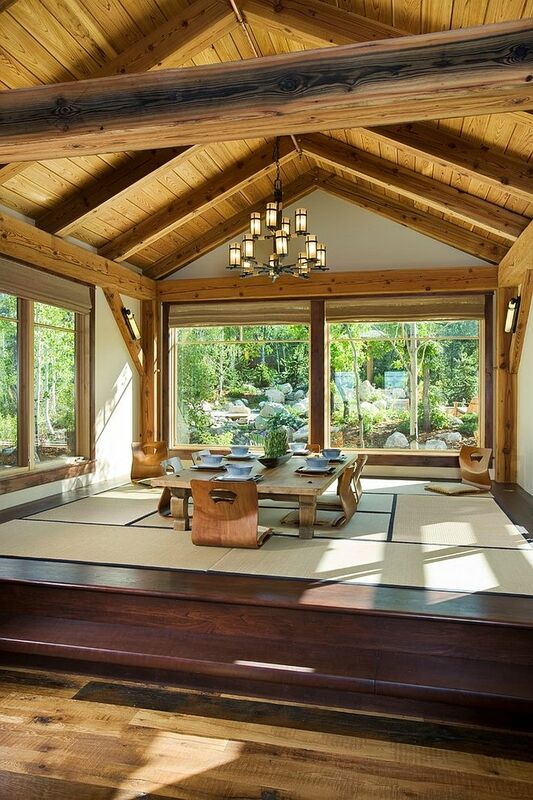 Those in search of Zen-style spaces will love these dining spaces that are surrounded by traditional shoji screens, organic elements, natural textures and plenty of natural light. 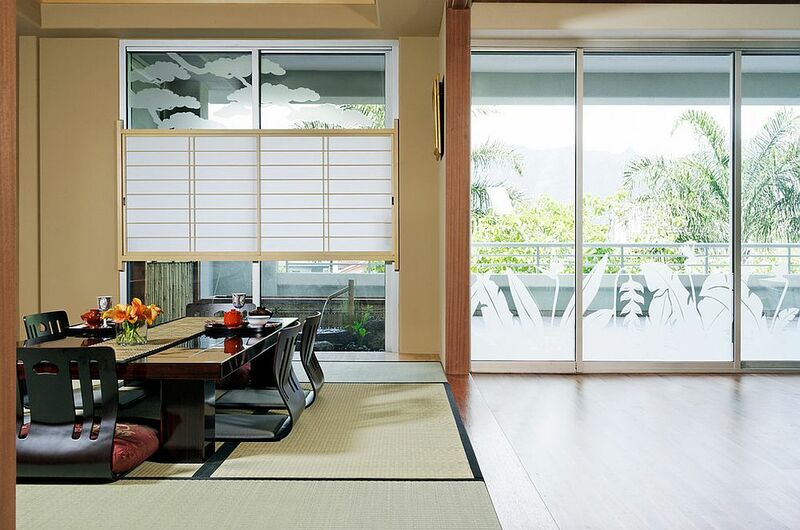 Nature-centric design is the fundamental principle of Japanese design, and a sense of harmony with your surroundings is what you find here. 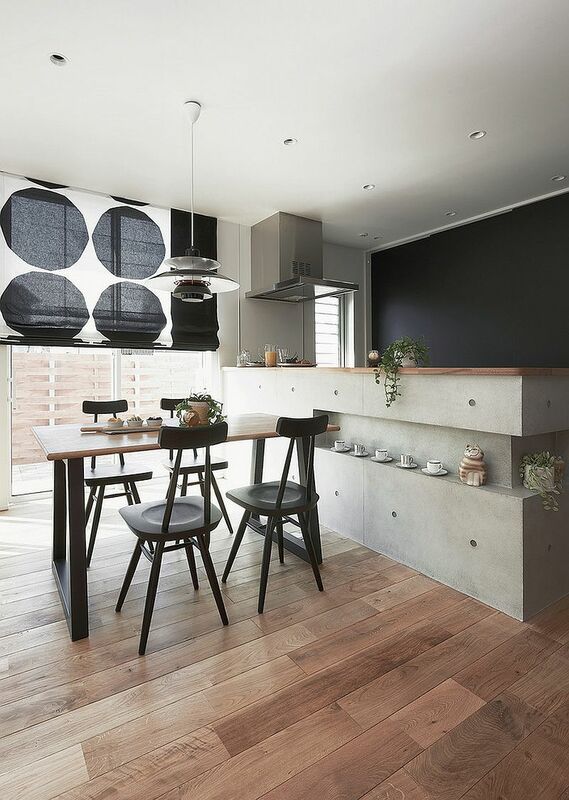 Inherently minimal, you can give these rooms a more modern look by adding beautiful pendants and midcentury modern chairs. A blend of modern and Asian styles is pretty easy to achieve, and you can mix several contrasting elements from different cultures in such a setting without having to go down the eclectic route. 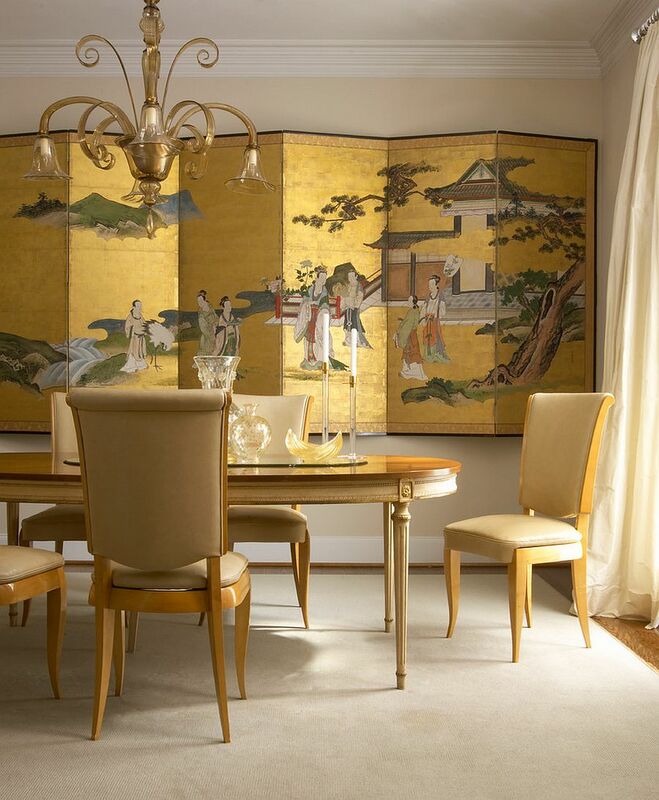 The simplicity of a beautifully crafted, oriental room divider, some framed scrolls that you picked up from your recent trip to China, or maybe even a statue of artwork depicting Buddha can get the job done without demanding a complete makeover of your existing, modern dining space. 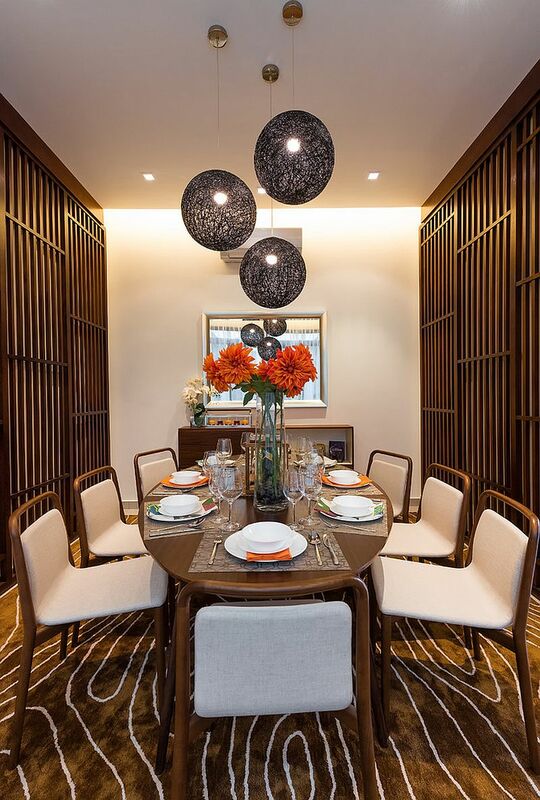 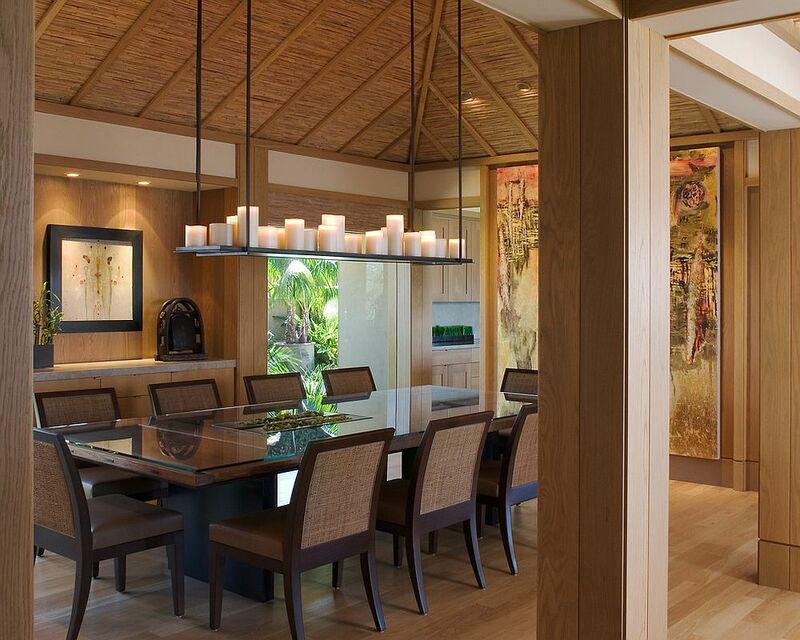 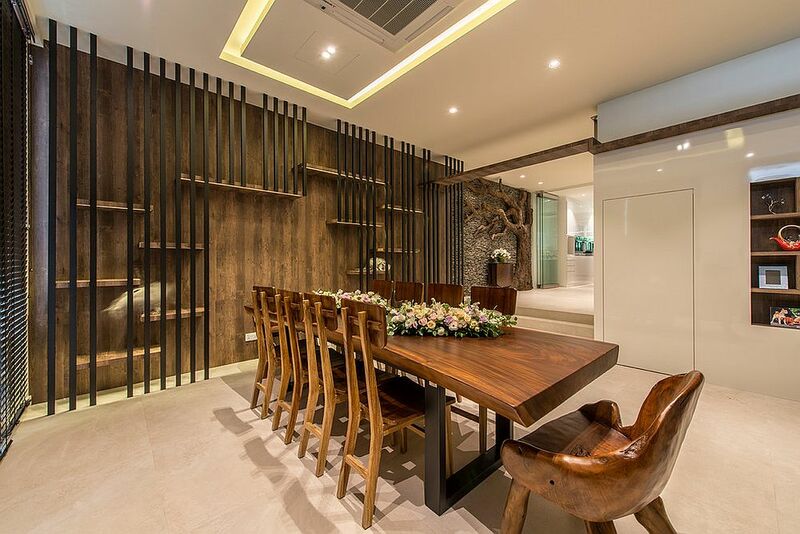 Custom dining tables in wood, intricate wooden carvings and breezy lantern lighting can also usher in the ‘Asian-inspired vibe’, even while seamlessly amalgamating with the contemporary appeal of the open plan living area. 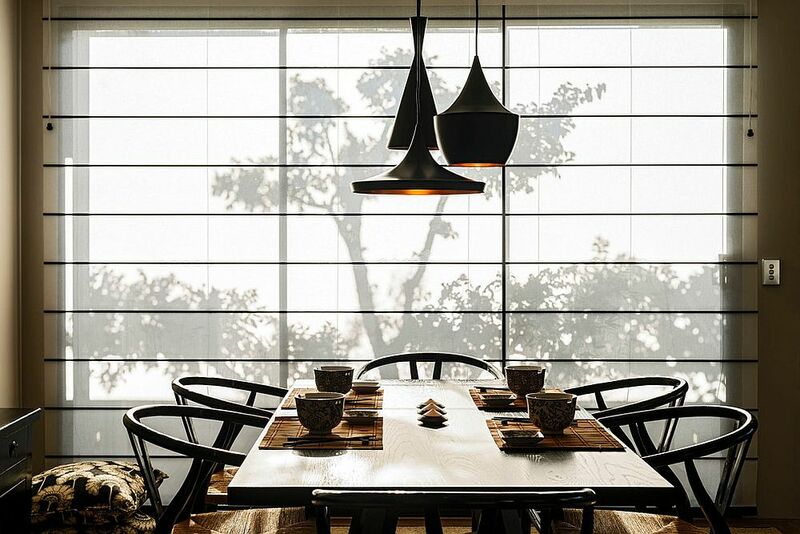 Giving the dining space an Asian-modern look is the perfect way to give it a distinct identity in the open plan living space while ensuring that it is not drastically different from the rest of your home. 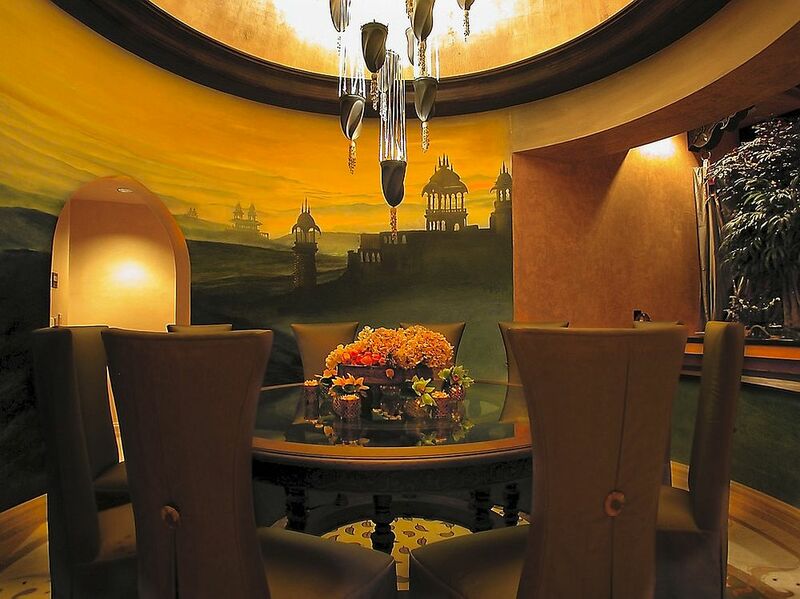 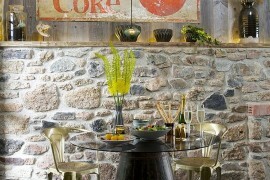 Warm yellow hues are a popular choice for such settings. 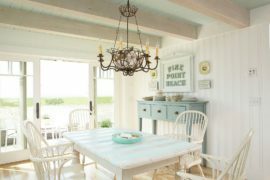 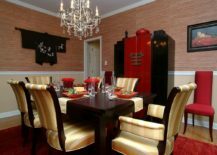 Not only do these dining spaces have an air of mystic charm, they are also inviting and promise to make your Holiday dinner parties even more memorable! 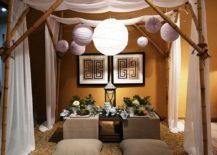 It is important to settle on the exact appearance you are looking for in the dining room before you actually start to shop for your Asian-style dining room. 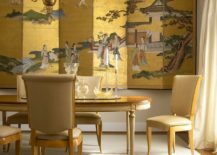 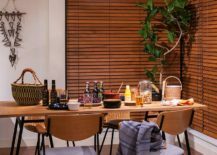 As we alluded to earlier, ‘Asian style’ is a pretty broad spectrum of styles, and you need a more focused approach when you are redecorating your existing dining space. 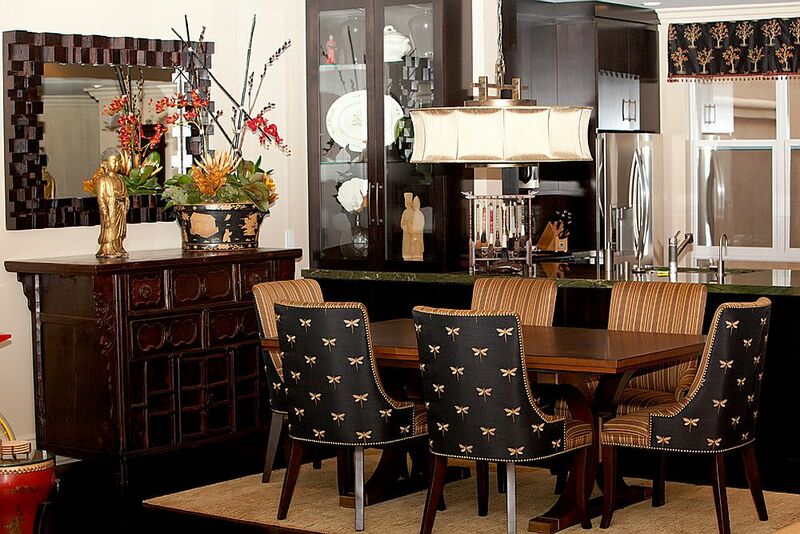 If you love a vivacious and lavish setting, then think of color schemes like gold and black, or even black and red. 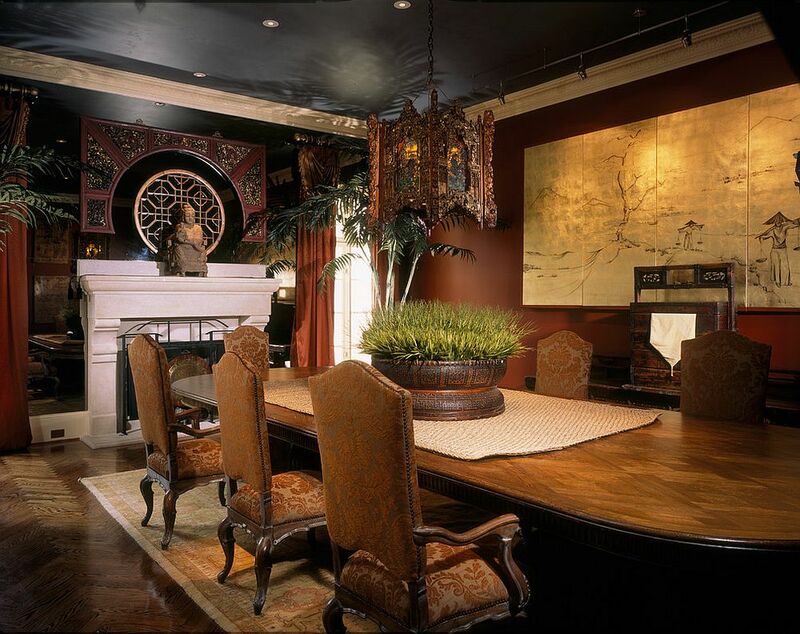 Black is the color that brings dramatic panache to the dining room, while shades like gold, purple and red offer richness associated with royalty in ancient Chinese culture. 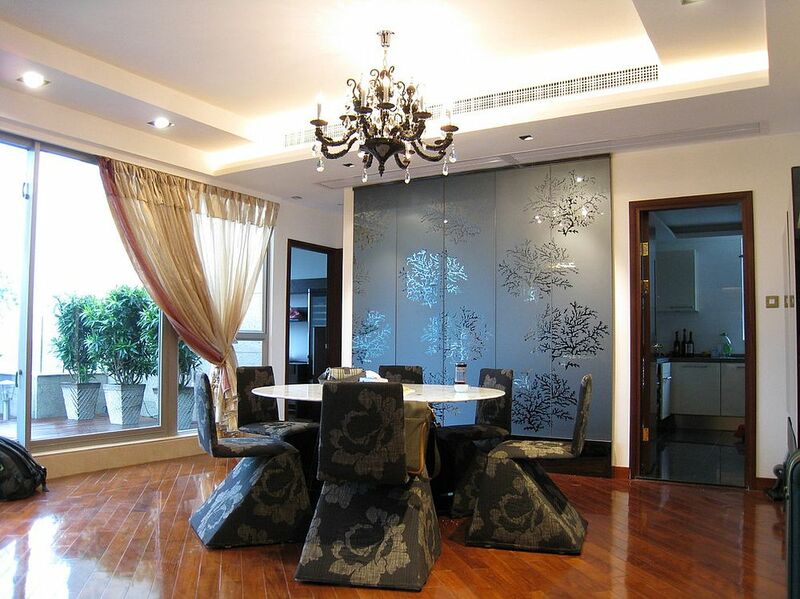 Fabulous silk screens depicting life in China across different eras, lovely room dividers, custom wall murals and false ceilings that borrow from Oriental motifs can add pattern to this fascinating dining room. 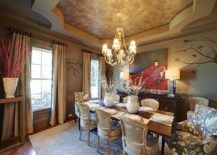 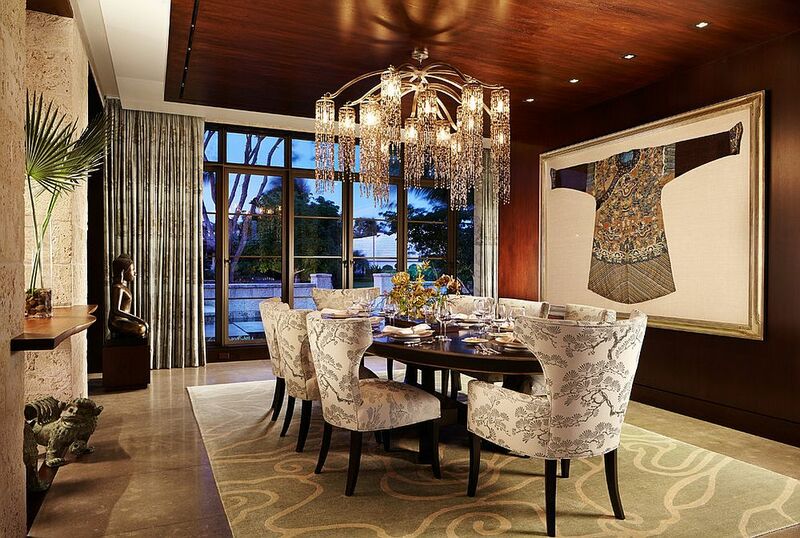 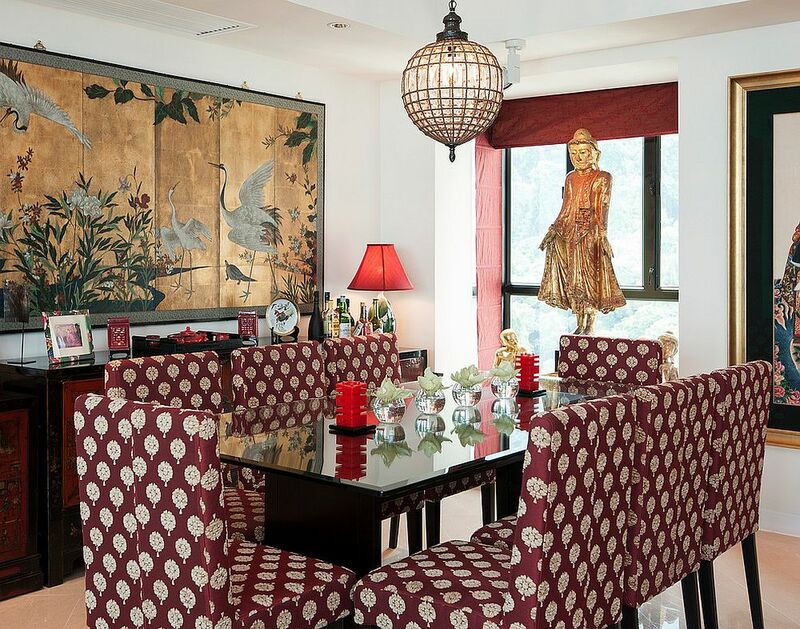 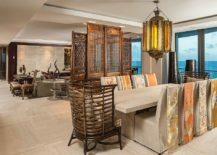 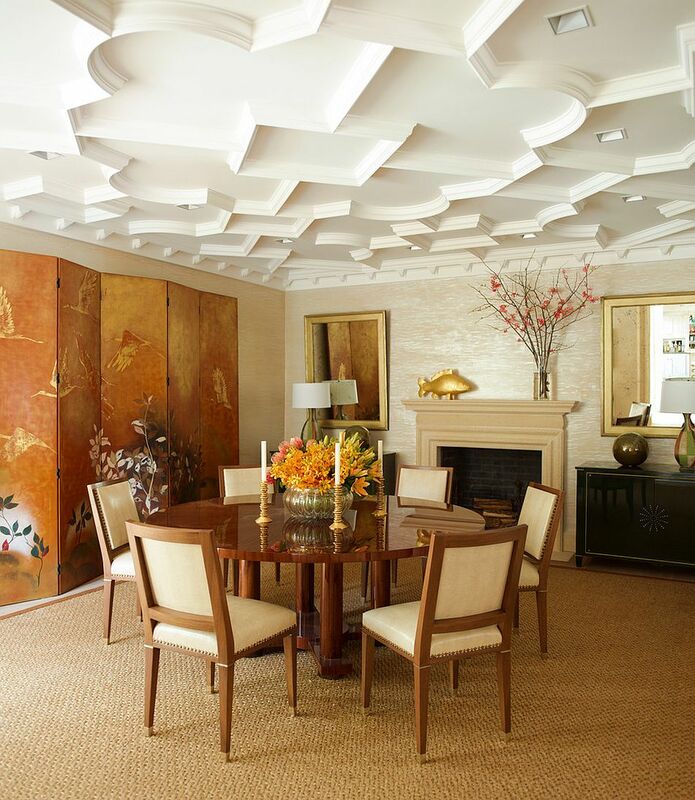 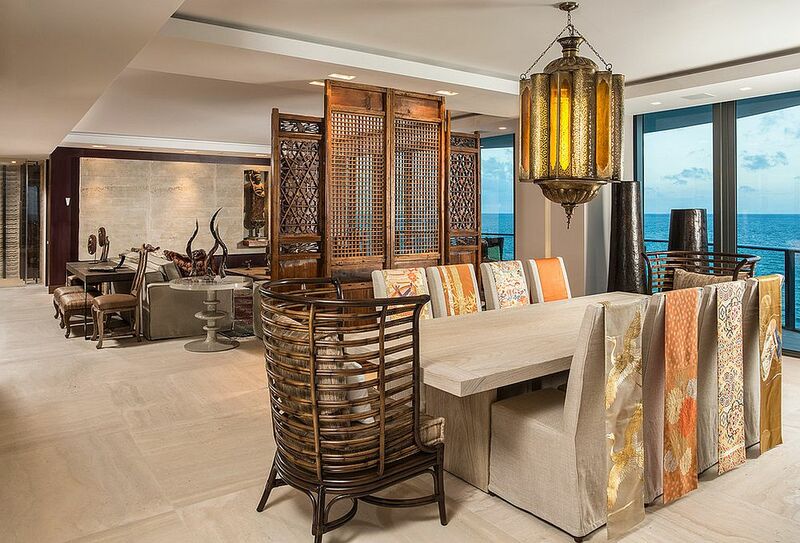 Bespoke slipcovers for dining table chairs, glass cabinets, and credenzas filled with Asian decorative pieces and magnificent silk drapes can complete this dream setting! 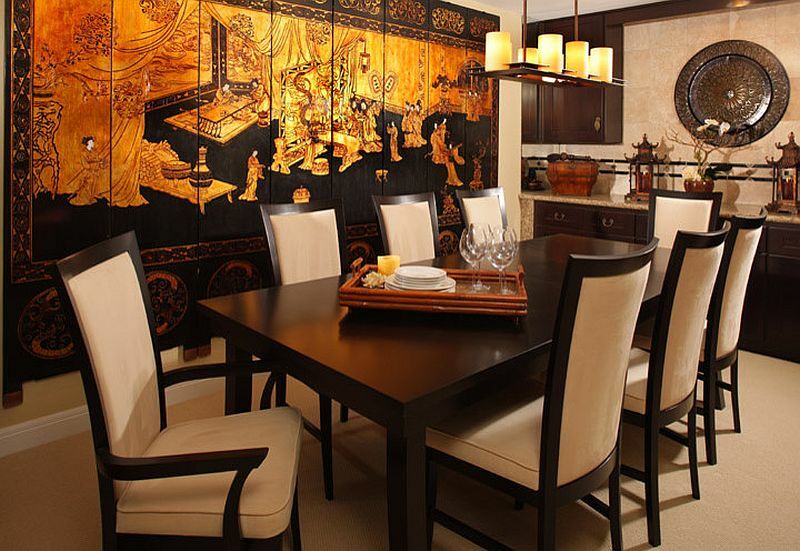 Even though most homeowners love to combine modern and contemporary styles with an Asian-inspired dining space, you need not always be bound by this norm. 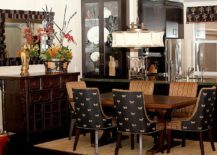 Get a touch creative and consider what looks best in your own house and how the style will interact with the kitchen and living room next to the dining area. 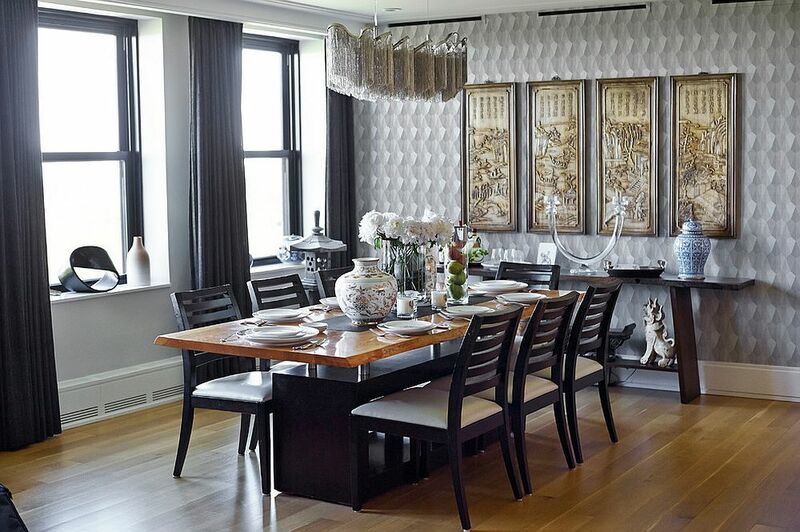 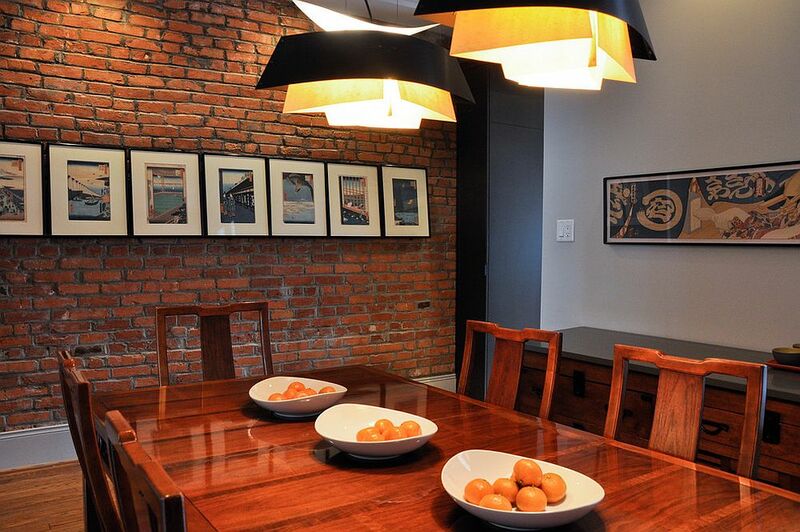 Those who love a mash of industrial and Asian styles can give their lovely dining room an exposed brick wall backdrop coupled with decorative pieces from the Far East. 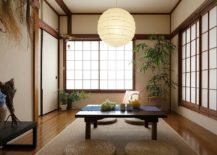 It is pretty simple to combine a Japanese design style with minimalism, and you should not have too much trouble mixing shabby chic or even traditional dining room elements with your newfound love for Asian design.